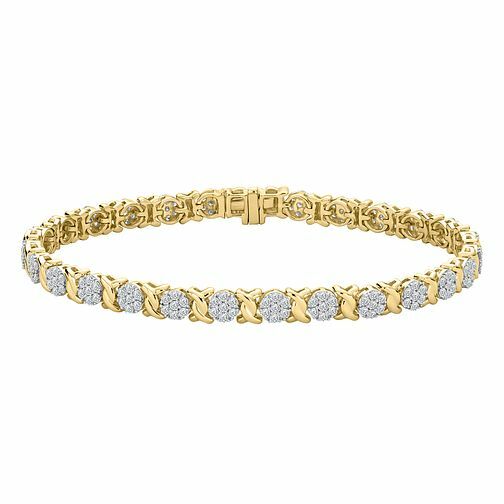 A beautiful, timeless design, this bracelet is created from a stunning yellow gold, and is adorned with glistening round cut diamonds. The yellow gold bracelet presents a classic twist between diamonds, with the shining stones shimmering from every angle. A beautiful bracelet to show off a subtle and stylish touch of glamour to the wrist.